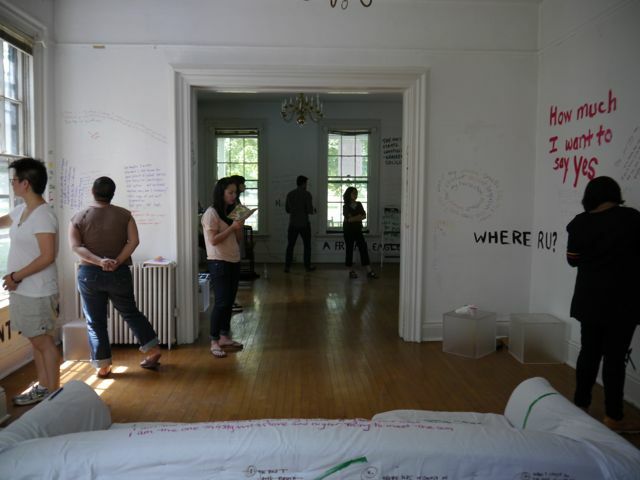 As part of Writing on It All, Kundiman assembled a monument of tolerance and belonging for poets of color. 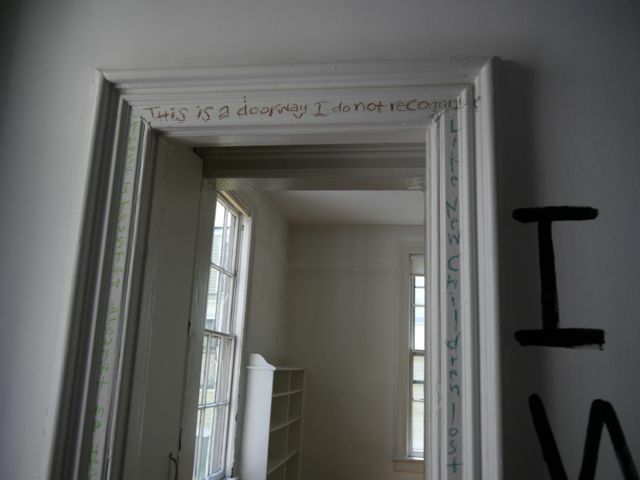 In this live monument, one group of poets wrote a collaborative poem centering on their experience of racism which alternated between an exquisite corpse (poets writing in succession) and an exploded poem (poets writing at the same time) on a projected new media space. 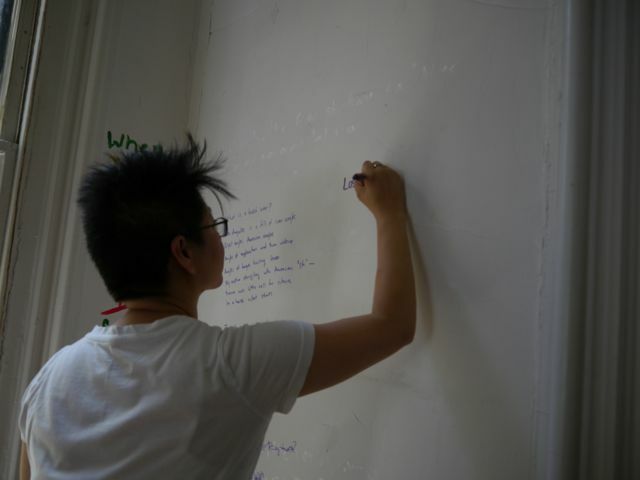 A second group of poets selected portions of the projected new media poem to act as first lines for their own pieces which were centered on their and their families' experience of making a home in America. 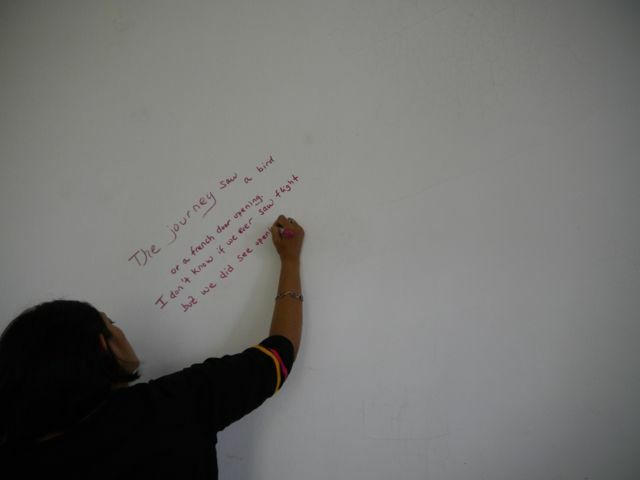 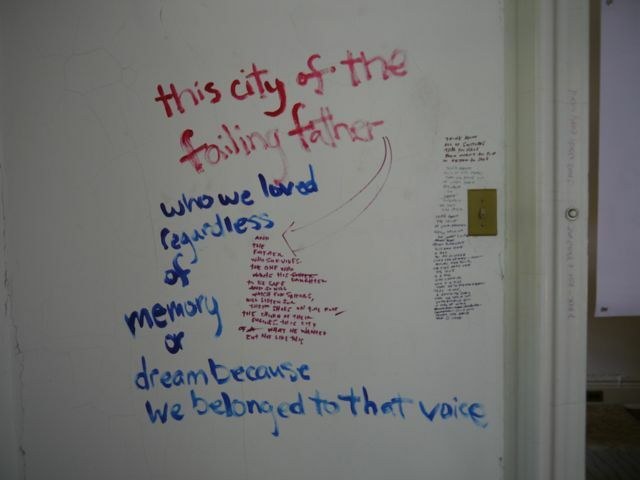 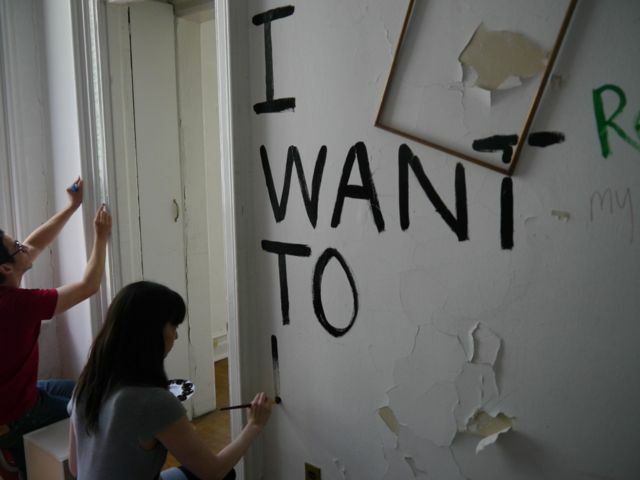 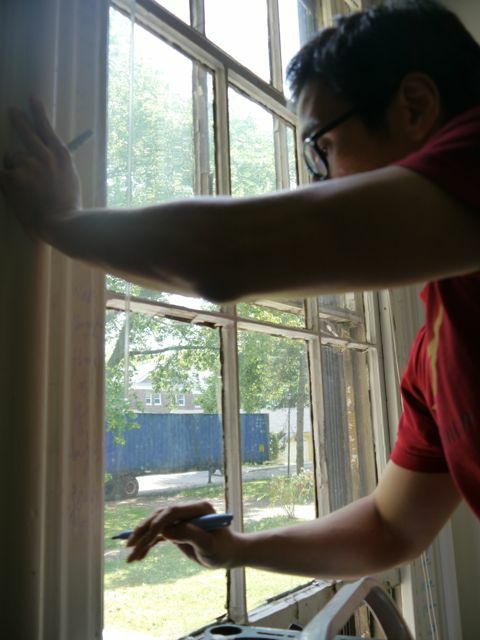 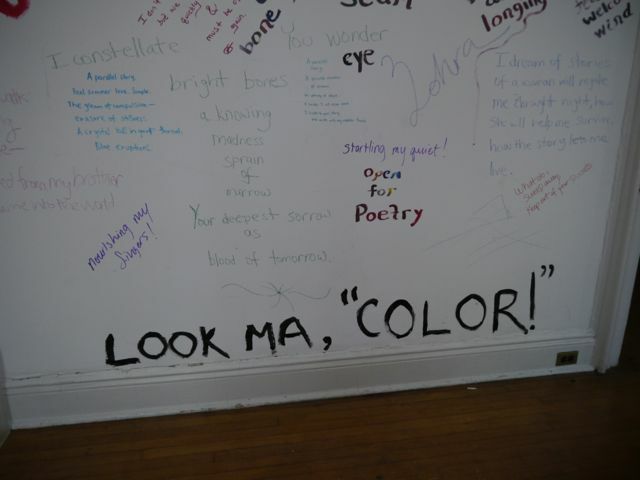 This second group of poets wrote their poems in paint on wall paper that were hung around the perimeter of the space. 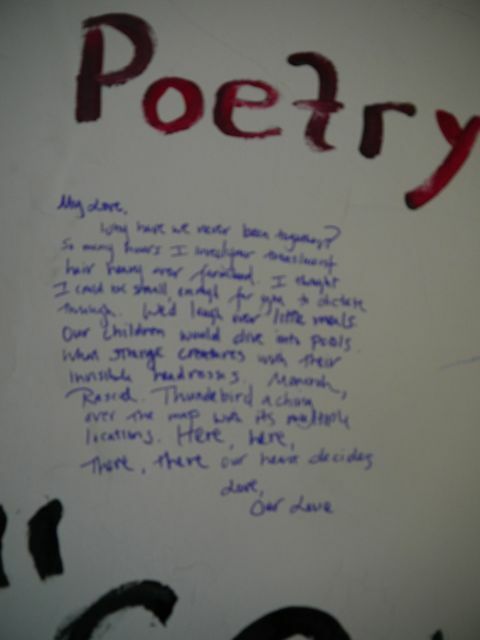 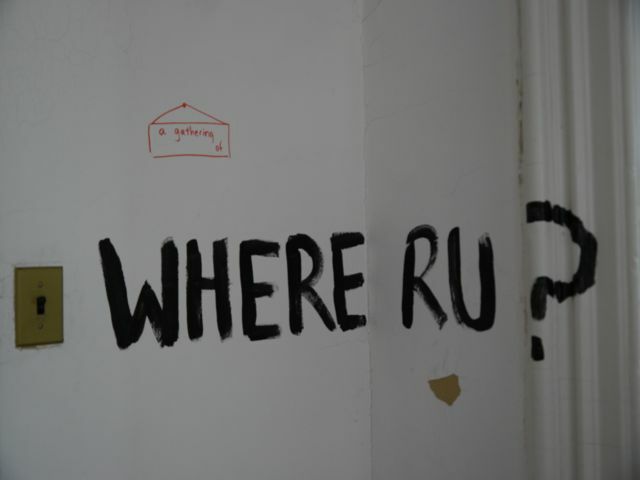 Our aim was to create the sensation that acts of violence and racism figured through new media are absorbed through the more physicalized poems of home and belonging that were painted throughout the space. 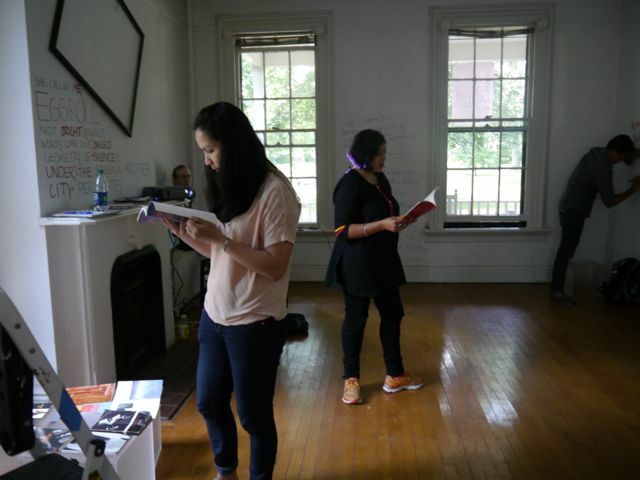 Throughout this staged writing, there were readings from the books of Asian American poets and writers.